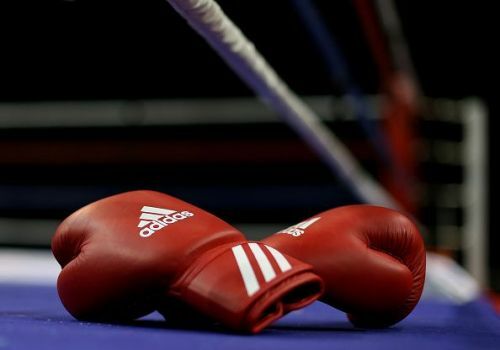 Chandigarh, Dec 14 (PTI) Manipur's N Bidyapati stunned Amisha Kumar Bharti of Assam in the second round of Junior National Boxing Championships here Friday. In the 50kg bout of the day, the Assam pugilist began as a favourite in the afternoon against lesser-known Manipuri only to fade away as Bidyapati won 4:1 in what was a major upset so far. The Manipuri boxer was all over her Assamese opponent and landing her combination punches impressed one and all which culminated in her winning the bout on spit decisions. Amisha, who had won a silver medal at Silesian Cup in Poland, couldn't bring her best as Bidyapti emerged winners with judges' verdicts favouring her. Later in the afternoon, Aashreya Naik proved her superiority over Punjab's Jashanpreet Kaur, beating her 5:0 in the 60 kg class. The Goan boxer with good international exposure under her belt she had won a silver medal at the Selesian Cup in Poland it became easy against her Punjab rival. But for this remarkable bout in women's boxing, the other results went along the expected lines. Services Sanjeet, who celebrated his nomination as Asia's best boxer in the Asian Boxing Confederation polling on Thursday, fought fiercely against Manish Rathore of Uttar Pradesh in the 46kg class before forcing the referee to stop the contest for the RSC-3 verdict. S Victor Singh was also severe against his Delhi rival Sumit Chaudhary, landing some clean punches to impress the judges in the 50kg second-round bout. The Delhi boxer managed to ward off his opponent by cleverly ducking from harm's way but traded very few punches to make any impression. So it was not surprising that Victor, the bronze medal winner from the Nations Cup held in Serbia early this year, winning the bout on points (5:0) to keep chances alive in the nationals.